I love when my high school senior clients include a casual outfit with jeans for the Senior Portrait session. Jeans are easy. Jeans are comfortable and relaxed. You can sit just about anywhere in your jeans and not have to wear that you will get them dirty. During my sessions, I love to have my clients sit on steps in the middle of a park, sit on a park bench, sit on a rock, sit on the grass, and most of these are easy to accomplish when my client is wearing jeans (preferably blue and not white jeans). They also go with just about anything, so it is so easy to mix and match outfits and just add a few accessories. And you can dress up a pair of jeans simply by adding dressy shoes, heels for the ladies, etc., or keep them casual with sneakers, Vans, etc. During my pre-session consultations, I will suggest that my seniors select three to five outfits to bring to the session. I always aim to photograph three outfits, but I want to ensure that one of the outfits is a casual outfit with jeans for versatility and flexibility. What outfits will you choose for your Senior Portrait Session? 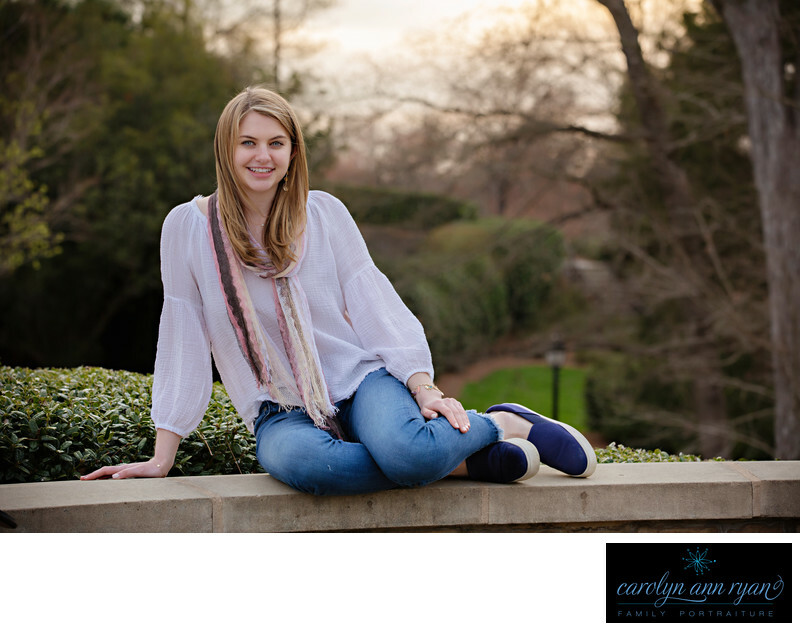 Keywords: charlotte hs seniors (3), charlotte senior hs pictures (3), charlotte senior photography (3), charlotte senior pictures (3), charlotte senior portraits (3), charlotte seniors (3), senior photos (3). 1/250; f/5.0; ISO 320; 123.0 mm.